As you might know, Platinum Charge Card and Platinum Reserve card are the two Premium cards from American Express that aren’t rewarding good enough to a cardholder unless one knew how to really make use of the benefits linked to Taj Hotels, etc. This is nice and doing so you get pretty good value for existing cardholders. But if you’re holding other best credit cards with low markup fee, you may not find it exiting enough. This move proves that Amex is listening, but I don’t think its enough to stay competitive. I still remember myself swiping Amex card at Starbucks in Bali, Indonesia despite knowing I’ll lose on markup fee compared to other cards I hold, as it gives me great peace of mind. Now you can get only 4 free supplementary cards instead of 6, as earlier. Apart from Eazydiner Prime, looks like some good benefits are being added especially on dining front which might be a game changer for this card. We’ll know more on this by month end. All of these changes to Amex plat charge card are expected to go live by 30th oct 2018. Thanks to the reader Kiran for sharing this info. Now you get Rs.500 worth of BookMyShow (or) Flipkart voucher on spending Rs.25,000 a month. That’s additional ability to get 2% value apart from the regular points you earn. Its a good deal for those who’re using reserve card as their primary credit card. But for others whose spends are seasonal, this is not a great deal. I would rather expect Amex to give us Taj/Amex domestic Travel/Amazon vouchers based on yearly spends like their plat travel card. Maybe like 30k Taj vouchers on 6L spend! Wouldn’t it be amazing?! As you might know, Amex neither disclose the benefits nor the joining/renewal fees of the Amex centurion credit card in India publicly. But according to rumours they seem to be testing with higher joining fee in the range of 4L (probably with welcome vouchers) while renewal fee is expected to remain in the 2L range. For most cardholders who are eligible for centurion, the major problem is not spending that 4L/2L but HOW they get value back! Its tough unless you’re a real “busy” millionaire flying revenue business class tickets. That aside, I also had a quick call with one of the Centurion cardholder and was surprised to hear some cool ways to save some money with new offers that they were running specially for them. I might write a separate article on that shortly. This has been in pilot phase since past 1 year and i hope its getting good traction. Yet, the caps are so less that it wouldn’t fit the premium cardholders much. While Amex temporarily using the MRCC card design for it now, we may expect this to be replaced with the actual design of Everyday spend cards as seen in US market. Its been a while since the the Amex lounge in Mumbai was closed. So they’re now coming up with the new lounge in Mumbai T2 that might help you stay away from the crowd in TFS lounge, Mumbai. This is expected to open by 2018 year end. While the metal card & new Amex lounge are the only good news around, its at-least good to see they’re trying to do something to please their customers. Amex certainly need more fine tuning on their premium cards for Indian market but if you’re availing their spend based offers & merchant offers now and then, you should certainly get good value from Amex cards even now. What’s your take on the new changes coming to Amex cards? Feel free to share your thoughts in comments below. In India, cashback cards are more predominantly liked by the customers (sense of saving while spending i guess). I think they are in works with more cards like US (Co-branded) now. Hope they don’t comprise their customer support when expanding user base. Point 2 – Completely agree, I have also done the same. I would love to see a Vistara CoBranded card from Amex. It may happen as they’ve with Singapore Airlines in Singapore. But when is the question! Amex for some reason is bit slow in products front. Also, Vistara has replaced Air India (not strictly, but the timing was uncanny) in IAP for Plat/Centurion. Air India went from permanent 25% discount to being no part of program in a matter of weeks. will they approve my application for self employed business persons. But, may i know who said they reject Self-employed? I want to confirm they will consider gross annual income or net profit income for their mentioned eligibility criteria for this is for all banks. Thanks for the update as I was wondering when they would get this in India as I have seen it abroad! ….the current card starts peeling after some time! Thanks for mentioning me, its always been a pleasure to share and receive latest updates here. When my wife was working in the US, she got a Chase Sapphire Reserve card which was made of metal (and came with a boatload of points). Through her I got a supplementary card which was also metal. I really like it as it feels a lil heavy and premium compared to regular plastic cards. Also, all the regular plastic cards I have get really bent in my wallet. I wish Citi upgrades the Prestige card to metal as well. Just curious, I generally destroy the plastic card (by cutting it) when it expires or I don’t want to continue with that card. What does one do to destroy this! They send an envelope with the card. When you need to destroy, you send it back to Amex in that. Actually, EasyDiner Prime was recently added benefit, and only worth 2500. Plat in India already had a very strong Taste from Platinum reservations system. I think I’ve scored over 40 bottles of wine this year alone, that pays the card fee twice in itself. The new dining benefit is apparently bringing significantly more places into the blanket. The problem with Amex and dining in India is that apart from Taste from Plat locations, they use Dineout partnership for other restaurants, which makes last minute reservations not really any more likely than one directly using the app. If more places come in, Amex can directly get those last minute reservations, which is serious win. I may downgrade my Prestige to PremierMilers though, since with 3X here, and airline redemptions getting hampered this coming year, I might not spend on Prestige enough in the coming year. Can u put a detail light abt how you scored 40 bottles of wine? I am using amex plat and payback card from past 5 years and never knew about it neither heard about it. I would really love to score this. Hey Amex guy. Recently booked a table Reservation at an itc hotel using the Conceirge in order to avail taste for plat. We were given a bottle of wine with Mrp 700. When I presented my itc culinare card ( at time of bill payment), the restaurant Manager indicated that I cannot get ITC points since I have used the platinum offer. Two offers cannot be combined apparently. Have u experienced this? “I may downgrade my Prestige to PremierMilers though, since with 3X here, and airline redemptions getting hampered this coming year, I might not spend on Prestige enough in the coming year.” – Can you please explain how is the airline redemption getting hampered ? “…airline redemptions getting hampered this coming year…”” – Can you please let us know what changes are coming up for Citi Prestige next year ? Apparently CP in Singapore has undergone some changes wrt domestic and international RPs, plus some. I too am wondering if CP India will see any changes. What kind of changes did Citi Prestige card undergo? Are those positive changes or negative changes? This is my reading of a piece on a Singapore based blog… In brief. For the Singapore market, from Oct 4th, Citi has increased earn rate on intl transactions by 20% for Citi Prestige (Premier miles earn rate remains same), increased Forex fees by 7% on PM & CP, excluded certain merchant categories for PM, CP and Rewards. Its not related to Citi per se. I have a pretty standard playbook when it comes to flight redemptions. The key aspects of that playbook are about to fall apart in 2019. Avois are about get massively devalued. Marco is about to raise redemption fee. Global airlines are in distress, so redemptions fees have been slowly creeping up. My one world emerald is about to expire. So 2019 would be about burning points and not earning points for me, before they become much less worthy. Above all, I plan to take most of my Citi spends to Amex. Prestige is pointless if you’re either spending on it, or juicing it for 4th night free benefit. Both of which I don’t see milking in 2019. Citi unfortunately does not have a strong enough hotel partner list I can exploit. One thing that I have observed with the Amex Plat Charge Fine Dining Programe is that they don’t allow you to club it with the hotel / chain’s own programme. For e.g. I cannot get Epicure points (50% on first three transactions and 25% after that) and Amex benefits (like free wine or dessert) in a single sitting. Has that been your experience as well ? Also checking to see what benefits you have got at Marriott and Oberio. I usually don’t go much to Taj restaurants and haven’t tried that combination. Who told you that you can’t get points when booking through Amex? If it is Amex, I suggest you give your Taj number at time of billing anyway. I do get SPG/Marriott points just fine when I dine at ITC via Amex booking. If I overcome my laziness and join Culinary program, I’m sure that would work too. I just hand over my SPG number at the time of billing. They never question credit of points. Join the ITC programme. Your membership package will come with a bunch of discount vouchers for dinning at ITC hotels. Also when not using the vouchers, you will get 25% discount while dinning at ITC and 20% while dinning at other brands like Fortune. Update : post 2017 ITC program no more gives discount or vouchers on dining ….you get green points worth 7000 on enrollment/ renewal. And green points worth 25% of your bill when you dine at ITC . These green points are can be reedem to pay your dining bill.1 green point = 1 Rs. Point dont expire as long as you have ITC culinary membership! 40 bottles of wine? Is it free of cost? And how did you do it? I am a big wine lover and would take this Platinum Charge Card any day for this kind of benefit. Please share some more details on this. I would also like to know how else do you bring out the value after paying over 50k annual fees for this card. Typically they provide a complimentary bottle of wine on making reservations through them at ITC, Taj, and Oberoi properties. I have the complete list of restaurants and offers for each of them. Do they offer the wine bottle for Marriott? Could you pls share the hotels list for Bangalore ? These reservations through concierge services is it or any other number if you could share that would b a great piece of info. I have their list of tie ups, Marriott is not there in the list. Having said that they are giving 20 – 25% discount across all Amex cards. In Bangalore the options are: Vivanta (all three of them), The Oberio, The Leela, and the ITC hotels (both of them). Of these Vivanta will get you a glass of wine and a dessert, The Oberoi and ITC will fetch you a bottle of wine, and Leela will give you a choice between a glass of wine and a dessert. To avail this, you need to make the reservation through the Amex Plat Concierge, and pay through your Amex Plat Charge. At one restaurant they told me that a back end audit happens to make sure that the payment has happened through the right card. Thanks for the detailed information SH. Couldn’t find reply on ur comment. Can I book the restaurant through Amex and then pay them through the vouchers that I have and still eligible to get the bottle of wine? I don’t think so. One of the restaurants told me that there is an audit that happens where Amex checks if the card holder indeed paid with the right card while getting the amenity. So the restaurant, if they value their money, will be making sure that you pay via the right card while availing that amenity. I would assume no, since one of the conditions of getting wine is that you pay the bill off with your Plat card. What SH said. For a bottle, it is typically an ITC location. As for how to get value from card, the best ways for me are — Free booze, Free Golf, Free Business/First class upgrades, Free Hotel memberships/upgrades/executive lounge access, 20-25% seasonal discounts on flights. I can’t get into how much value I usually get, but any one of those categories should pay the card at least twice over. I am new to the Amex Plat Charge world (~2 months). Have a question on free business class upgrades. When Amex books these tickets do they confirm that it will be upgraded? Or is it more of an operational upgrade depending on availability? Also are these tickets non-restricted type? Asking so many questions as I have not used this facility so far. I find your responses / posts to be very informative, and would like to thank you for all the info that you share. AMEX currently offers upgrade to F in Etihad if you’re booking J or C but you need to consider that full fare business is ~2x of the non-refundable ticket cost(I recently got a quote FOR BLR – LHR). You will need to do your homework to make sure you get the best out of PLAT. For someone like myself who hardly travels internationally twice a year, who doesn’t eat out much, doesn’t have the need to frequent hotels domestically, doesn’t golf.. I don’t juice much out of PLAT. I managed to get the value out of PLAT this year since I was taking a week long vacation with TAJ but doubt about next year. I’m going to stay with Prestige next year. It depends on the partner. For permanent partners like Etihad, the upgrade is instant, you get an F ticket in inbox. They keep having offers for others time to time, in most cases it is upgraded after a couple of days if not instantly. Either way, you have an F ticket before heading to airport. Sometimes Amex has deep discounted F tickets which are almost as cheap as flex J. Sometimes they have offers like 2 for 1, that saves you around the same if you took discount on cheap fare, but then gives you flexibility of having a flex fare, so it is a win. Now here’s the breakdown — you need to book full flex fare on J to be upgraded. How much you save? Well, if you were to fly first anyway, then yes, you save around 40-50K for each sector on flights to EU and Americas. If you were to fly business but think of upgrade as just nice to have, you’re probably better off trying to book cheaper business fare and have Amex give you a 10-15% discount on it through the same IAP program. This way you save around 15-20K each sector. So, depending on which class you originally intended to fly, you are looking at 30K-100K savings for each round trip to EU/Americas, if travelling business or first. For economy, the discounts are much lesser, but it is still a non trivial discount so it is always best to check the fare with Amex first. I don’t understand why you wouldn’t spend on prestige. With award flights you can potentially earn 35% return with prestige and the half with plat when spending in foreign currency. Am I missing something ? Sounds like that’s coming from Amex. Do u have it bro ? And how did you utilise it ? American Express is giving lifetime free offer on MRCC, whose income is more than 15 lac pa. Is it a good deal? Will they increase fees of plat reserve also, thinking of taking that? There is no ‘reply’ icon against your responses to my query above. Hence this addendum to thank both of you for your responses. Now you get Rs.500 worth of BookMyShow (or) Flipkart voucher on spending Rs.25,000 a month. “… Is this targeted offer , or is it for all? I have Plat Reserve card, but havent received any email. Also cant find this on their website…Any pointers? Call them up. New Reserve members are getting it. You have an option to chose between flipkart and BookMyShow. This is there on there website. Click on Know More under the card details, and then monthly voucher program. So it would be for all. Any unlisted/unadvertised benefits from reserve card? Got the metal card today. Came from Singapore so they aren’t making these cards locally. It is contactless, which means the back plate is not transparent but opaque. The card is 18g. There was an issue with import duty (Rs. 995), which DHL guy claimed I should pay. This was a communication mess up between DHL and Amex and they sorted it out swiftly. I would verymuch like to know, who paid the Import Duty. Amex did, obviously. It was a misunderstanding on part of DHL, which got sorted in almost realtime by Amex. You should have got an A/C card along with you plat charge card, could you please give some info about it. Yup, I applied for an A/C card. It’s useful if you claim expenses to your company. In which case, giving CA just the A/C card portion of the statement is enough. It’s just an add-on card with no extra privileges except than segmenting your spend. You can use it any way to you like. I know some people who put all travel spends on it so they know how much they are spending on travel every month. It’s also another physical card so if you have someone spending for you, they can have it — such as your PA. I got metal cards for all my add-ons. You have to specifically ask to replace supplementary cards too. I have got it for me as of now. Asked on 17-Oct, and got it by 22-Oct. Would have got it on 20-oct (it had reached local DHL office by then), if they had not left early due to Durga pooja. hi @Amexguy and @Ram how long did it took you to receive the card after requesting it? T+2. BTW, if you requested online, that doesn’t work. I placed a request on 17th, but called on 21st and they had no idea about it. They took manual request on 21st, which was a Sunday. So it basically went through on 22nd, card got delivered 24th. The way I see it — if you average over $1500 in monthly overseas spend, then the extra MR points earned itself pay the fee + GST over and above any other Amex card. So, if you are spending that much, then 3X multiplier will pay for the card fee, regardless of any other benefit. And I can go all day on how much one can earn on this card, but that differs widely for different people. Only get a card if you are getting net positive out of it. Thanks a lot @ Amex Guy…I keep reading about your insights and find them very useful. It took me almost 10 years to get a Credit Card after burning my fingers with loads of them and not realising the potential. I am back to having 5 cards now but ultra careful now and keep doing Need and Analysis of requirement. Do not want history to repeat as it takes almost an entire decade and loads of hard work to get CIBIL score back on track. It would be great to get a lesson from you on how you are using various features to wilt away the hazardous effects of the fees. Some of these (fine dinning, pay J and travel F, golf, all the status for primary and add on) we already know through the comments that you have posted. If there are others, then will be good to know them as well. Also remember that golf comes with Citi Prestige, Infinia, Diners Black as well (though to varying degrees of benefits). As it does with Amex Plat Reserve. So then it depends on the opportunity cost of having Amex Plat vs other cards that on their own, or as a combination provide some or all of the features of Amex Plat. Golf is just an example. Other might be forex, where Citi Prestige provides 2X, and until recently Diners Black provided 10X (now limited to oversees PoS transactions). So it would be great to get some discussion on this. I love the Amex Plat, just playing devil’s advocate so that I can answer to my wife about the fees. I don’t get it, how spending 1500 dollars a month overseas will set off the fee. American express gives 3 MR point every 40 rs, that makes it 7.5 MR point every 100Rs or equivalent to 3rs for cash credit to card, other gift card give even lesser value. and when you spend overseas you will pay 4.2rs for every 100rs spent as currency conversion charge. So if it a loss every 100rs than how can it be a profit every 100,000 rs. Please explain. I would really appreciate that. I value MR points are Re. 1 each, worst case scenario. If you value it lesser than that, multiply the $1500 figure with (1/x) where x is your valuation. If you value it at 0.4, then card makes sense over any other Amex card if you spend $3750 a month on average. 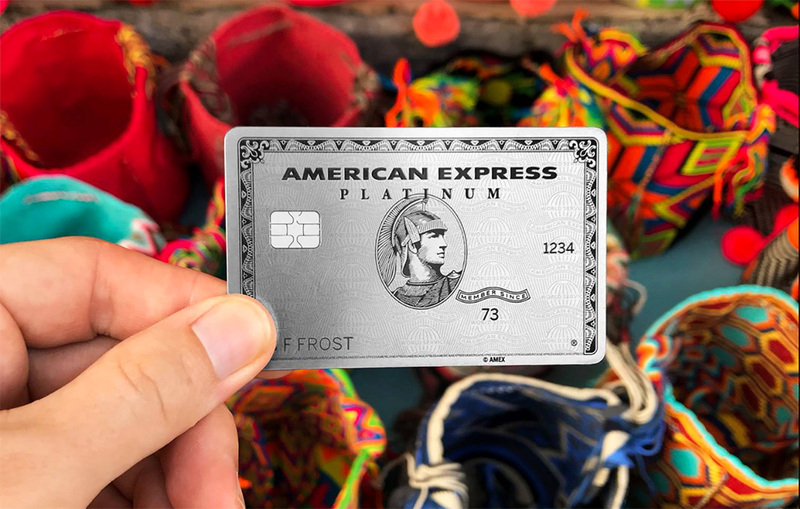 This does not mean that you’d make a profit, it means that the card makes sense over any other Amex card as the differential in points alone will pay for the card free. How do you get Re 1 value out of 1 MR? The moment you transfer them over to airline you get 50% in miles. So unless you are getting Rs 2 value from 1 airline mile you cannot realize that value. Also I doubt if 1 MR is 1 Re for hotel transfers. So would be great to know how you unlock more value. ya I would also like to know the hack for getting rs.1 per MR point. For me, Marriott/SPG transfer is easily Re 1, especially if redeeming locally. I redeem at either cat 1/2 hotels or at highest tier. This year, I’m redeeming my 240K points for 5 nights in St. Regis Maldives (5th night free, SPG gold) where each room costs $4K a night. So each MR worth around Rs. 5.8 for me in 2017/18. Although I used a hack while programs were merging, but still. even if we assume the value of MR point to be rs.1 per MR point than also on spending 1500$ per month , approx: 1.1 lakh per month, all on international spends , you would be getting 8000 MR points of highly improbable value of 8000 rs. but would still be paying 4500 per month as currency conversion charge. that reduce the value to 3500 per month or 42000 per year. So even at highly inflated Rs.1 per MR point and spends of 1500$ per month internationally , the card does not pay for itself by just MR points. The value of card lies not in its reward points but in the lifestyle benefits it offers. I have never ever redeem MR point for rs.1 , please guide me , how to do that. If you can’t even get Re. 1 value out of MR using miles or hotel points, I sincerely urge you to not use this card. It will make you unhappy in longer run. You will miss out on value on your spends. A cat 2 hotel is 9-12K with GST in India, and costs 10K points to book with no GST needed. So Re. 1 is not really that hard even for non-luxury everyday travel. My concern is — you’re looking at statement credit. With what you’re looking for, this card is simply not for you. A DCB/Yes Exclusive will make you more happy. Also, please reread my above 2 comments where I say you will earn fee back over and above any other Amex card, and you continue to factor conversion charges. Other Amex cards bear same conversion charges. Hey guys just got an email from Amex the new American Express lounge is opening on December 14th looks really good. Having a Horrid time with this card. Points not being credited on time, supplementary cards stuck for almost 15 days, multiple calls need to be made still awaiting resolution and I thought it was a premium card. Still all hotel programmes not enrolled…some issue with back end. Apparently tie up with Vistara is under process so no more upgrades possible. Continue to have a tough time…My Shangrila membership has still not been upgraded to Jade tier has been over a month, my taj inner-circle membership has not been credited with the desired vouchers. Got the 1L points credited but lot of other issues still seem unresolved. @ Amex Guy / @ Siddharth any help in ensuring that my issues are not falling on deaf ears. I am caught in two minds regarding the Plat Charge card. The elite hotels membership is great, but I dont think I will put all my spends on it. I have a HDFC DCB, Axis Vistara Infinite & Citi PM . Chasing the Vistara milestone spends is a top priority (though Vistara CV points can be a tad disappointing for last minute redemption). Amex Guy, Sid, your views on the same would be much appreciated.